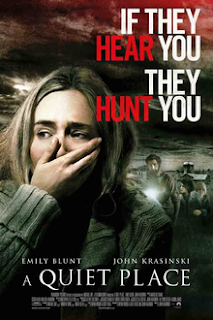 What little marketing I saw for this film pegged it as yet another generic horror flick. Maybe a haunted house, some monsters, something about keeping quiet? I didn’t really know what to expect. When I finally sat down and watched it, I was pleasantly surprised to find a movie less concerned with horror genre formulas and tropes, but one that is all about survival and family. The plot isn’t overly complex, no big twists and reveals, but the execution and design are splendid and make for a thrilling ride through a post apocalyptic upstate New York. In a way, this is what I would have liked The Walking Dead do be at times, perfectly conveying that loneliness of the barren post-apocalypse and the beauty of the untouched nature around it. Cinematography, editing and especially sound design are exquisite, and the fact that this made it to the mainstream with almost no dialog, says something about its director. In fact, I think the lack of dialog is where the movie shows its strength, letting us focus on the images and the surroundings instead of on what people are saying. If I had to criticize something, it would be the somewhat generic monster and finale, but in the end, both worked to support the work as a whole, and did not become the central point of the film. In contrast with another similar movie that was released the same year (Bird Box), I found both antagonist and ending to be much more satisfying, if not original, as compared to the ones in that movie. Overall, definitely worth a watch, if you like horror or if you just like a plain great piece of cinema.